Help vote for me on Luxola's Facebook competition <<here>>!!!!! 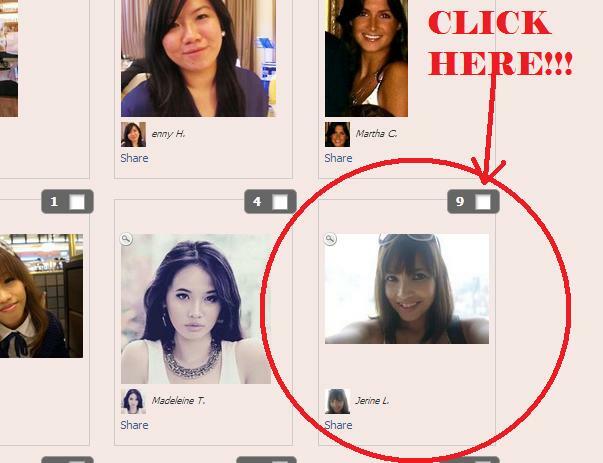 I have submitted my photo on Luxola's Facebook page to be the face of Luxola.com. Winner will get a hamper of beauty products and phooto shooting. If I win... I will share two premium beauty products from the hamper to one of those who voted for me. Once you voted for me, you can leave a comment below (so I will know you voted me). I will pick one voter for the giveaway. If I win... I will stand a chance to go to Singapore for the photo shooting. And I will do a Singapore giveaway. Which means, I will shop for something special in Singapore and do a giveaway just for you all awesome people who voted for me. Lastly, I will blog the entire photo shooting experience. If you enter the competition too, I will vote for you as well. Just leave me a message in the comment section and give me your details. Once you do that, I will check out your entry and vote for you. That's a lot of bribery. I really hope you guys and girls can vote for me. I really really really want to win the competition!!!!!!!!!!!!!!!!!!!!!!!! Good luck to you!!! AND DON'T FORGET TO VOTE FOR ME!!!!!!!!!!!! !